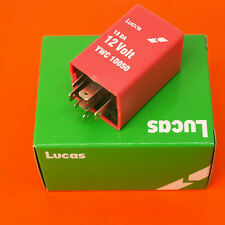 Micro Relay 4-pin, 12v 20A. Hella 4RA 007 728 001. Woodauto RLY1303. Wehrle 29200075. VDO 23074A1001A402. Mafco 425-6030. MINI RELAY UNIT SUITABLE FOR CAR AND BOAT. WITH MOUNTING BRACKET. With over 50 years experience HC CARGO's vision is "To create value at all levels". All HC CARGO products are thoroughly tested in house ensuring their renowned high quality. 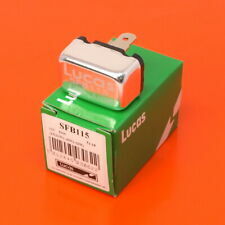 Micro Relay Box for 4x Micro Relays & 6x Mini Blade Fuses. Maximum relay height if using lid: 25mm (Not including pins). Accepts 4 Micro Relays. Accepts 6 Mini Blade Fuses. Complete with a pair of single mounting brackets and a plastic cover. Micro Relay 5-pin, 12v 20A. Changeover relay with resistor and no bracket. Ferrari 183662. Woodauto RLY1313. Wehrle 29201005. Tyco V23074-A1001-X77. Tyco V23073-B1008-X019. Rover YWB 000440. Micro Relay 5-pin, 12v 20A. Changeover relay with diode and no bracket. Product Code. Independant Land Rover Specialist Since 1974. 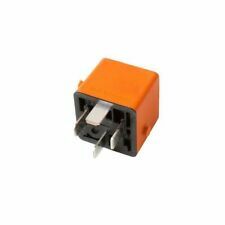 12V Mini Fused Make/Break Relay - 20A. Choke Cables. Electrical & Split Charging. Wind Deflectors. Floor & Tunnel. Roll Cages. Glow Plugs. Note 1 Changeover relay. Note 2 Diode across the coil. Mini Relay. CHANGE OVER. Add to Favourites. Height: 24.4mm. Width: 25.7mm. Note 3 Moulded bracket. These were fitted to Minis from 1990 to 2000 and have a variety of uses: Starter Relay, Fog and Spot Lamp Relay, Cooling Fan Relay, Oxygen Sensor Relay and Burglar Alarm. 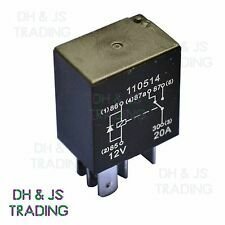 Classic Mini 'Yellow' Multi Use Relay 1990 - 2000. 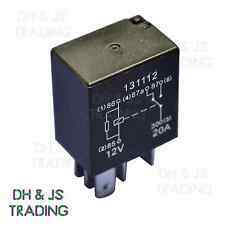 12V Mini Twin Make/Break Relay - 30A. Independant Land Rover Specialist Since 1974. Choke Cables. Electrical & Split Charging. Wind Deflectors. Floor & Tunnel. Roll Cages. Supplied with bracket. FITS VARIOUS BMW / MINI MODELS. All used parts and accessories are not covered by a warranty but are sold in good working order (unless otherwise stated). Continuous current - 40A. Maximum peak current - 40A. Pin 30= Positive Battery Input. (also referred to as 'Mini' relays). Pin layout to DIN 72552. Durite Mini Make & Break Relay. Normally open (NO). Part number: 0-727-12. MICRO RELAY 4 PIN. CAR,VAN,BOAT. We make buying online as simple as it can be. and if you do not like the product?. Continuous current - 30A. Maximum peak current - 30A. Relay can be mounted directly into a suitable base or fitted with seperate mounting bracket (supplied). Pin 30= Positive Battery Input. (also referred to as 'Mini' relays). 12V Mini Change Over Relay with Bracket - 20/30A. 12 volt, 20/30 amp with bracket. Note 2 Diode across the coil. Mini Relay. Note 1 Changeover relay. CHANGE OVER. Height: 24.4mm. Width: 25.7mm. Mini Twin Make/Break Relay. with bracket. Durite 175 Amp 2 Pole High Current Battery Cable Anderson Connector 0-432-75. Durite Black Moulded Insulated Housing For Starter Cables Up To 25mm² 0-466-50. Part Manufacturer Durite. Independant Land Rover Specialist Since 1974. SEALED WITH DIODE. Holger Christiansen (1927-2000) laid the foundation for the HC-CARGO success story in 1963. MICRO CHANGE OVER. 15 / 25 AMP. CROSS REFERENCE. Main body height: 26.2mm. Main body thickness: 14.4mm. Twin make / break. With bracket. With bracket. Make / break. 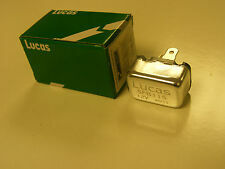 Classic mini 3 pin hazard flasher relay unit 12v 42 92 watts, does both hazard and indicators from 1991, lucas part no:SFB190 - New. Mini Centre Berkshire. Unit 5 Greys Green Farm. Durite 50 Amp 2 Pole High Current Battery Cable Anderson Connector 0-432-05. Part Manufacturer Durite. Independant Land Rover Specialist Since 1974. Choke Cables. 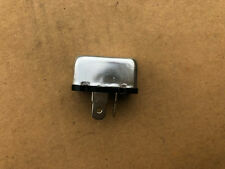 24V Mini Twin Make/Break Relay - 20A. Vauxhall Opel (Almost All Models) From (2008 - 2017). 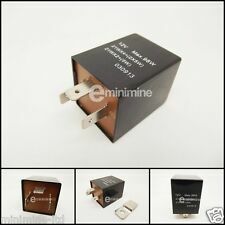 Genuine4 Pin Black Mini Relay / Multi-Use Relay. Chevrolet (Almost All Models) From (2005 - 2017). Genuine GM Part. Pictures taken from actual item. Durite Mini Make & Break Relay. 12V 30/40A 5 Pin Change Over Relay With Bracket. 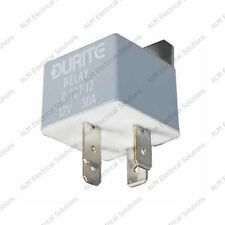 12v 30/40A Change Over relay suitable for applications where the ability to switch a higher current between two circuits from a low power source is needed. FOR SALE IS A BMW & MINI NEW GENUINE MULTI FUNCTIONAL RELAY WHITE GREEN TO FIT MINI R50, R53 (09/2000 — 11/2006). MINI R56 (10/2005 — 08/2010). MINI R56 LCI (03/2009 — 11/2013). MINI Clubman R55 (10/2006 — 07/2010). Tyco Part Number:V23134-K55-X476. MINI R50 (09/2000 — 11/2006). MINI R53 (09/2000 — 11/2006). MINI R56 (10/2005 — 08/2010). MINI R56 LCI (03/2009 — 11/2013). MINI Clubman R55 (10/2006 — 07/2010). 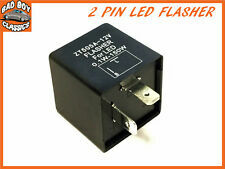 High Quality 24v 20A 5 Pin Micro Relay. Amperage: 20A. 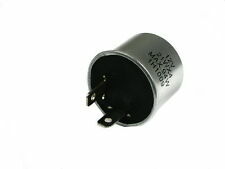 Ideal for use on universal 24v Applications. Micro Relay. Colour: Black. Without Moulded Bracket. MINI RELAY. WITH BRACKET. ANOTHER HIGH QUALITY HC CARGO PRODUCT. Add to Favourites. Diagram no. 1 R080. Physical specifications. With resistor change over multi. PART NUMBER: YWB10032. The one on your car may have either a green or black body.